Our spaces are incredibly flexible and able to accommodate a wide range of hires. 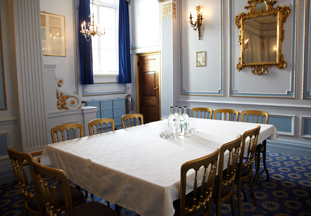 Here we have listed some examples of those events most commonly held within our venues. If your hire doesn’t fit any of these categories, please feel free to contact us, as we’d be more than happy to help! 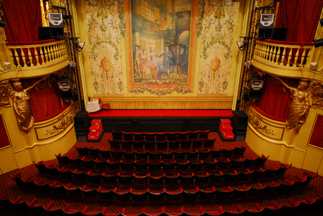 Make your showcase unforgettable by holding it in one of our prestigious West End theatres. Hiring one of our spaces for a showcase hire includes use of the stage, auditorium, bars and front of house areas. Evening showcases are held on Sundays in the majority of our theatres (except for the Lyceum Theatre, which is available for a Monday evening hire). In the build up to an evening performance, we also accommodate rehearsals during the day. Alternatively, we can host week-day showcase hires (dependent upon matinee performances) to 5pm. Hires work on top of the resident production. Hirers will benefit from the resident productions’ lighting and sound equipment, operated by our technical teams. Additional technical equipment can be hired using external providers, on which we are more than happy to advise. 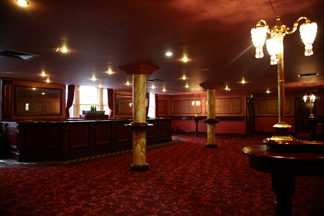 You will also be provided with a Manager to personally oversee your event and ensure the safe running of the building, as well as front of house staff, levels tailored to your event. Our staff are always on hand to ensure the smooth running of your day. A theatre auditorium makes for the perfect destination for corporate presentations, conferences and lectures. With a multitude of spaces available across the West End, you can choose the ideal location for your business. Our spaces are available from 10am to 5pm through the week (earlier starts can be facilitated, and availability is subject to matinee performances). The hire of an auditorium includes lighting, sound and AV support. Where additional technical support is required, we are happy to advise on external hire. Hirers will work around the current production’s set, although, dependent upon the show, set-clearances may be available. However, hirers often favour the creative environment of a theatrical set, and we are happy to offer further advice on themes. If you need catering for your event, our own recommended caterers, provide a delicious range of food from snacks, to sandwich lunches, to full finger buffets, served in our bar spaces. To extend your event further and provide an entertaining team activity, we are happy to organise group tickets for one of our shows, and to book local restaurants on your behalf. Please feel free to contact us to discuss this further. If you are looking to host your meeting in a more creative, exciting and unusual environment, our theatre bars provide the perfect destination. 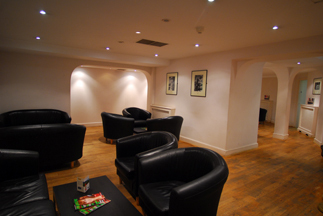 Each of our theatres has a range of bars, able to accommodate formal and informal meetings of various sizes. Please see our Space and Layouts page for a break-down of the spaces available in each theatre. AV support, teas, coffees and catering can be provided as required. Please see the ‘Food and Catering Services’ section of the website for more details. The stunning design of our historic buildings makes for a popular location for filming and photo shoots. With a wide range of interiors, from the more traditional Victorian design at the Lyceum, to the stunning Italianate Architectural style of the Phoenix, to the classical Art Deco design of the Savoy Theatre, through to the more modern and simplistic design of the Trafalgar Studios, we are able to provide the perfect back-drop for a wide range of shoot requirements. Shoots can take place on stage, in front of the safety curtain, or behind the curtain if the resident production allows for a set clearance. 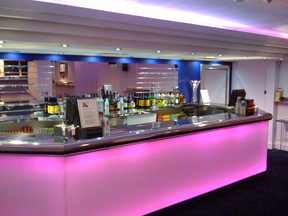 Shoots can also take place across our theatres’ bars, box office, foyers and front of house areas. Please note that shoots must take place outside of show times, and so theatres will only be available from 10am-5pm (earlier starts can be facilitated) weekdays, excluding matinee days, and all day and evening on Sundays. With a range of spaces available, our venues provide a unique opportunity to hold a workshop in a central and iconic location. Depending on the nature of your event, workshops can take place either on stage in our auditoriums, or in some of our larger bar areas (please see our Space and Layouts page for more information). We can provide lighting, sound and AV support, to be operated by our technical team. Auditoriums and private spaces are available from 10am-5pm during the week (earlier starts can be facilitated), except for matinee days, and all day and evening on Sundays. 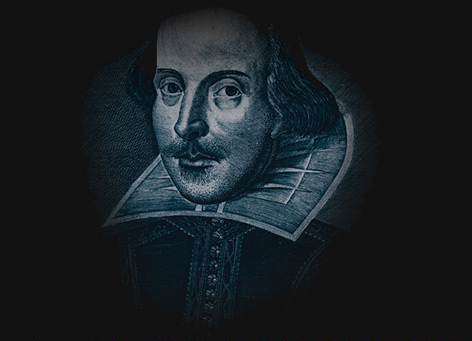 Our smaller capacity auditoriums are ideal for play-readings. We are happy to work with the hirer to create as formal or informal an environment as required. All play-readings on stage will require a basic lighting pre-set, which is rented from the resident production and operated by our staff, although we are happy to meet more complex technical requirements. Please note that play-readings take place on top of the resident production’s set, although set clearances may be available. To extend the enjoyment of your event we are also happy to provide post-reading drinks and catering in our theatres’ bars (please see our Food and Catering Services page for more details). Our theatres are available from 10am-5pm during the week (earlier starts can be facilitated), except for matinee day performances, and are available all day and evening on Sundays. The ideal location for Product Launches and Award Shows, our creative spaces, with a range of stunning auditoriums and bar spaces available for hire, are the perfect destination in which to host an unforgettable event. Our theatre auditoriums can be hired for the main presentation element of an Award Show or Press Launch, whilst our multiple bars, in which we can serve drinks and canapés, at the hirer’s request, are ideal for networking afterwards. Lighting and sound is hired from the resident production, and operated by our staff. Hirers may have to work around the existing set, although set clearances may also be available. Our theatres are available from 10am-5pm during the week (earlier starts can be facilitated), except for matinee day performances, and are available all day and evening on Sundays (except for the Lyceum Theatre, which is available all day and evening on Mondays). If your event isn’t listed here, please don’t hesitate to get in touch. These are only examples of events we commonly house, but we always welcome a new challenge!